"So Right... 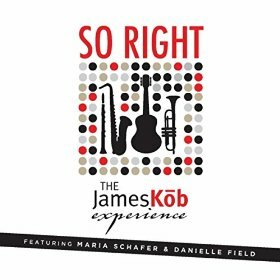 The James Kōb Experience" is a fantastic assembly of multi-genre, original new music, by composer, performer & producer James Kōb. James pulls together a cadre of top-notch journeymen musicians from across the US to deliver unparalleled performances on every song. This album is a statement in melodic excellence of a proportion not seen in decades... every song is as strong as the next! The single "Because of You... by The James Kōb Experience" is sung by Maria Schafer in 3 different languages: English, French & Portuguese.